The simian slasher comes to blu-ray in October. The late George A. Romero may be best known for his zombie movies, but he leaves behind a horror legacy that reaches far beyond the undead. 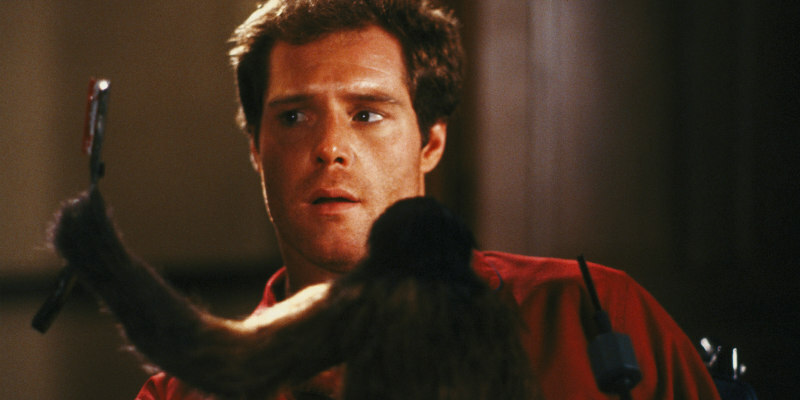 One of Romero's overlooked gems is 1988's Monkey Shines, which stars Jason Beghe as Allan, a man left paralysed by an accident who forms a friendship with Ella, a monkey specially trained to look after his needs. But as Ella forms a bond with Allan, she begins to grow overly protective. Eureka Entertainment are releasing Monkey Shines on dual format blu-ray/DVD October 8th. Special features include commentary tracks from Romero and critic Travis Crawford; 'making of' doc; alternate ending and deleted scenes; vintage featurettes, interviews and behind the scenes footage; and trailers and TV spots. You can check out Eureka's new trailer, along with the artwork for both the blu-ray case and limited edition o-card, below.